Parts of the Abel Tasman National Park will go “live” on Thursday with the launch of a virtual visitor centre and Wi-Fi network. The network will allow visitors to the park to access up-to-date information on weather, tides, points of interest, history, wildlife and plants through a free smart phone app. It will not allow general internet access. The public will also be able to listen to a live link of birdsong from Adele Island and view webcam images of Adele Island and Anchorage through the Project Janszoon website. Devon McLean, director of Project Janszoon, which is providing the network in collaboration with DOC and technology company Groundtruth, says the smartphone app is a key element of Project Janszoon’s plan to engage with the communities that visit and enjoy the park. 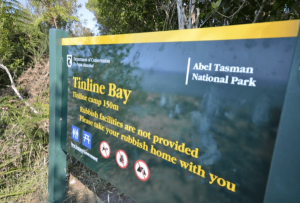 “It didn’t seem appropriate to put up a lot of interpretive signage along the tracks and given 70% of visitors are aged between 18 and 35 it makes sense to use the technology they are carrying to tell the story of the Abel Tasman National Park. In time we hope to extend the network throughout the entire park and offer more interactive components,” he says. Initially Wi-Fi hotspots will go live at Marahau and Anchorage and the phone app will include points of interest between these two locations. Groundtruth’s Daniel Bar-Even says a remote network like this presents a few challenges. “There is a lot of good old Kiwi can-do attitude needed to operate a Wi-Fi network in such rugged and isolated locations. Already we’ve had lightening take out an antenna at Marahau and birds seem to like trying to destroy the microphone on Adele Island,” he says. Martin Rodd, Department of Conservation’s Conservation Partnerships Manager said that Wi-Fi opens the door of possibility for education. “Bringing the park into homes and schools will enable people to keep abreast of this amazing restoration project. It can also help students study the project and make the park part of their classrooms. 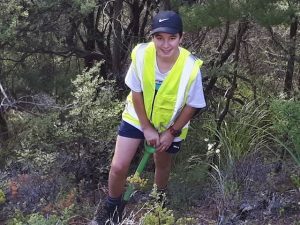 Hopefully in years to come you’ll be able to hear kiwi and tītī calling once more and maybe even mohua and saddleback—species which have long since been lost from the park due to predation,” he says.